Could this be the design of Apple’s downtown Vancouver flagship store? Speculation is heating up that a new retail building slated to replace the rotunda at CF Pacific Centre could be a long-awaited downtown Vancouver Apple flagship store. Sources have confirmed to urbanYVR that Apple was recently in talks with landlord Cadillac Fairview about creating a significant flagship space at the corner. 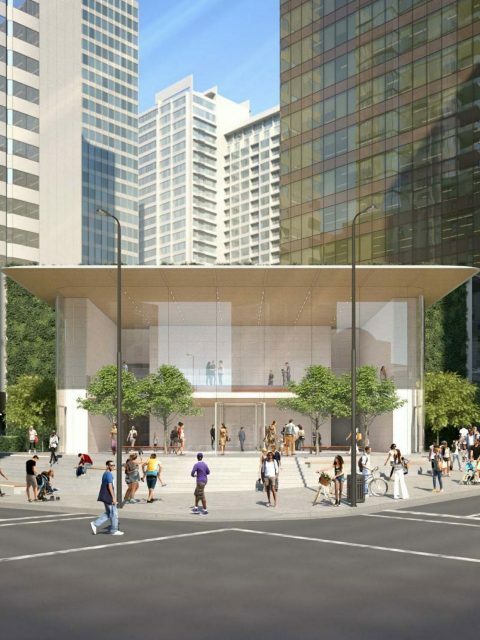 Now, architects Perkins + Will, on behalf of Cadillac Fairview, … [Read more...] about Could this be the design of Apple’s downtown Vancouver flagship store?